Buyers' month is coming to a close, and, fittingly, my Andover talk on the subject is tonight. But the past two weeks were such a whirlwind I've had little time to be nervous! A lot of career "firsts" are happening at once, and while it's challenging, I am so grateful for everyone helping me get to this next level. I continued to explain the buying process with posts that leaned financial and practical, some of which I've linked below. And, although it's still cold outside, the spring market is heating up! Now that sellers are pricing correctly, bidding wars are increasingly common. So if you've been on the fence about buying, it's time to act. 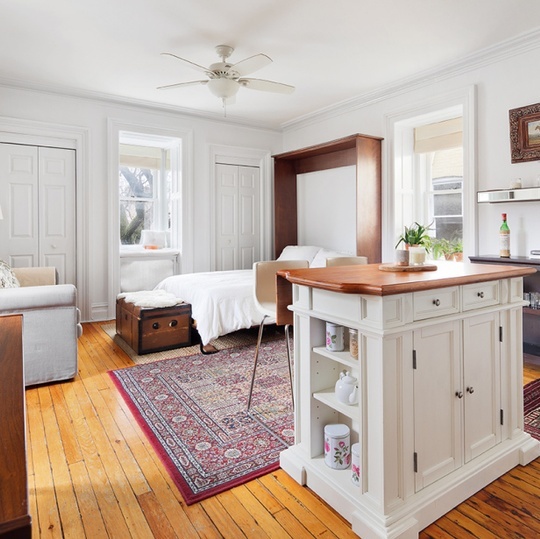 To get you inspired, I've included my brand new, beautiful, totally-a-bargain listing in Clinton Hill. Scroll to the bottom to scope it out! It will probably surprise you, but I don't have a strong opinion about Hudson Yards. Is it only for the very wealthy? Yes. Does its main attraction look kind of like a shwarma? Absolutely. But I'm interested to see how this pre-fabricated neighborhood plays out. Will all the apartments sell? Will all the offices and storefronts be leased? Will it have lasting appeal to residents and tourists? Only time will tell, but for now you can read OTHER peoples' opinions on Manhattan's newest playground for the .01%. There is something psychological about seeing the high sticker price on a 600 sq ft one-bedroom and becoming disheartened. I could NEVER buy something like that! I would NEVER pay that off! I've said this before, but my love for interior design is one of the many reasons I chose this field. So I felt like a kid in a candy store exploring Architectural Digest's show last week. Notable attractions included basically every stove (I have a thing for ovens), Dolce & Gabanna x Smeg appliances, and the prevalence of emerald green.